Bingo sites that accept credit cards? If you stumbled across this article whilst googling 'bingo sites that accept credit cards,' I have some very good, and very bad news for you as well. Well, are there bingo sites that accept credit cards? 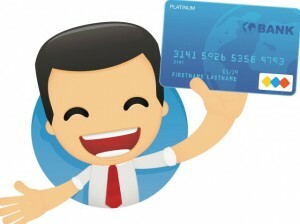 Nowadays, pretty much every site will accept a credit card, so that's the good news. But the bad news is, using a credit card to gamble could be the start of a slippery slope into debt, missed payments, and financial ruin. Of course, not all players are going to use credit cards recklessly – you may pay off your balance on time every month, and never incur a single penny in charges. If so, well done, and feel free to browse our selection of bingo sites that accept credit cards. But if you have a reputation for careless spending and ignoring bills, think very carefully before you enter your credit card details at a site – are you really that desperate to gamble? Are you really willing to pay high interest charges just for the sake of a flutter? If you are, this could be symptomatic of an underlying problem, such as gambling addiction, and it's time to take a long, hard look at your habits, and possibly get help. Your card issuer will regularly check your credit reports for late payments of bills. Even if you're a day late to pay a phone bill, this can trigger a hike in your credit card interest rate, even if you have never made a late payment to your card issuer. If you miss paying your credit card off on time, you can pay dearly. As a late paying customer, you can be charged anywhere up to £50, and those late payments can trigger an even higher interest rate. Playing bingo can be absorbing, and let's face it, addictive – it's easy to lose track of time and money. If you exceed your credit limit by even one penny, you can be hit by extortionate fees. Those couple of 10p cards that you bought could end up costing you more than you ever imagined. Have I scared you yet? I jolly well hope so – using a credit card to fund your fluttering can be a lose-lose situation, so be careful at all times, and consider paying off that balance, then cutting the card up ASAP. Want to know how to work off that balance? Firstly, you need to make more than the minimum payment. If you're only paying off the minimum each month, you're just paying off interest, and feeding the bank's treasure chest. This can include include food, bills, mortgage, and credit card payments, and possibly a wee bit for bingo. Hone in on high interest debts first then work your way down. There is no doubt about it, bingo is a luxury, as is your Starbucks coffee in the morning. Make a packed lunch for work, borrow books from the library, and consider staying in and amusing yourself with a movie night, instead of hitting the tiles. 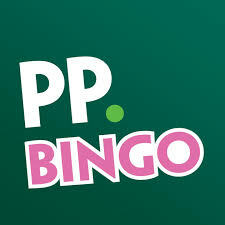 And don't forget, you can play plenty of free bingo and still get your kicks without spending the cash. And finally, if you think you're developing a gambling problem, and your debts are running out of control, contact the charity like Gamcare ASAP. Even if you think everything's ok, and you've never owed anyone a penny in your life, remember, gambling addiction is easy to slip into, and it's a gradual process too. Familiarise yourself with the symptoms, and never ever bet more than you can afford to lose.